Stocks ended a big week with modest gains Friday after China renewed Google's license to operate in the country and traders awaited earnings reports due next week. 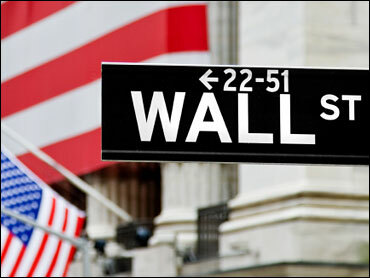 The Dow Jones industrial average rose 59 points to push its gain for the week to 5.3 percent. Broader indexes posted bigger gains, helped by Google's advance. Trading volume was light, signaling many investors were staying out of the market. The renewal of Google's license was in doubt because of a strained relationship between the company and China's government over censorship of search results. Google rose 2.4 percent. News on the economy wasn't as upbeat. Inventories held by wholesalers rose in May for a fifth straight month though sales dropped for the first time in more than a year. The government said wholesale inventories rose 0.5 percent and sales dropped 0.3 percent. It was the first drop since March 2009, when major stock indexes hit a 12-year low. The moderate buying came as investors prepared for earnings reports that start next week. Traders often avoid making big bets just before earnings releases because the reports provide a good picture of how companies are performing. Investors will look closely at forecasts for future quarters because economic reports in the past two months have raised questions about the pace of the rebound. "It's time to determine if this is just a soft patch in the recovery or if it's the beginning of a second leg down. That's what the market is struggling with," said Dan Deming, a trader with Stutland Equities in Chicago. Investors will want to know whether companies are feeling the effects of slower growth and whether corporations believe the recovery will gain momentum in the coming months. Stocks consistently fell over the past couple of months because data showed the economy was growing, but not as fast as had been forecast. Earnings season starts with aluminum producer Alcoa Inc. on Monday. The company's stock rose 1.9 percent ahead of its report. Other companies scheduled to release results next week include banking giants JPMorgan Chase & Co. and Bank of America Corp. General Electric Co. and chipmaker Intel Corp. are also scheduled to report earnings next week. Overseas markets rose after a surprise interest rate hike in South Korea was seen as a sign of confidence that the global economy will continue expand. Central banks around the world, including the U.S., have kept rates at historically low rates to stimulate growth. According to preliminary calculations, the Dow rose 59.04, or 0.6 percent, to 10,198.03. The Standard & Poor's 500 index rose 7.71, or 0.7 percent, to 1,077.96, while the technology-focused Nasdaq composite index rose 21.05, or 1 percent, to 2,196.45.